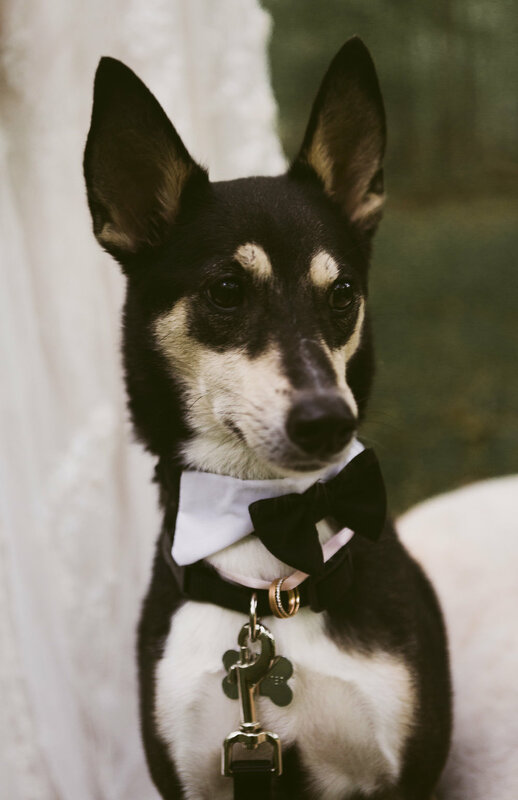 I love elopements so much because they really focus on what’s important. You strip away the crowd, the microphones, the cell phone cameras, the pressure of your family and friends, and focus on just each other. You read your vows just loud enough for each other to hear. You can include the most intimate details that only the two of you will hear. Your embrace becomes all the more meaningful, your words powerful. 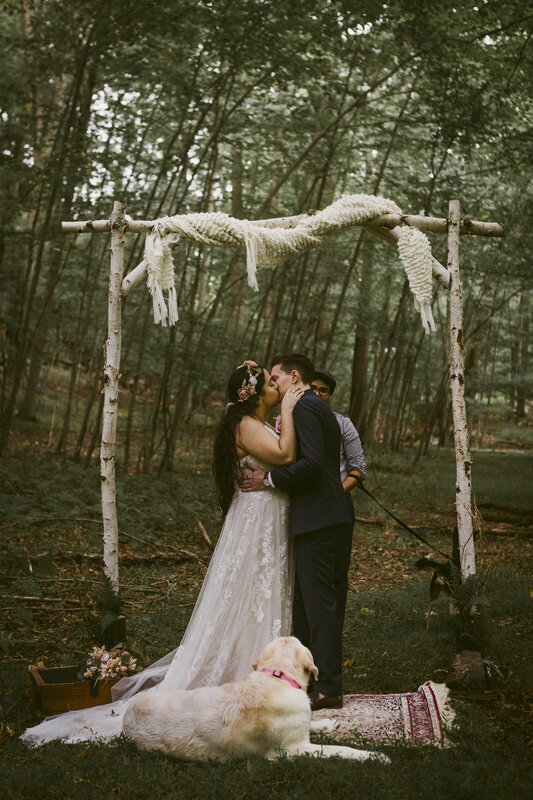 After their first look, we skipped on over to this homemade arbor that we doctored up with a throw blanket from the couch and some scavenged ferns and twigs. I can’t get enough of the homemade details this year! Just because it’s free or homemade doesn’t mean it’s not perfect for your big day. 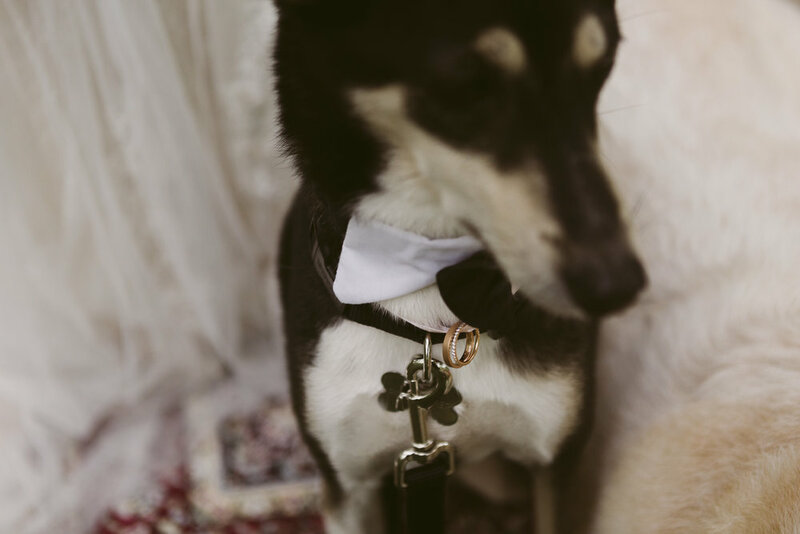 Ring bearer, Moosh, looked exceptionally dapper with Zoe, their flower girl at the ready on the rug. 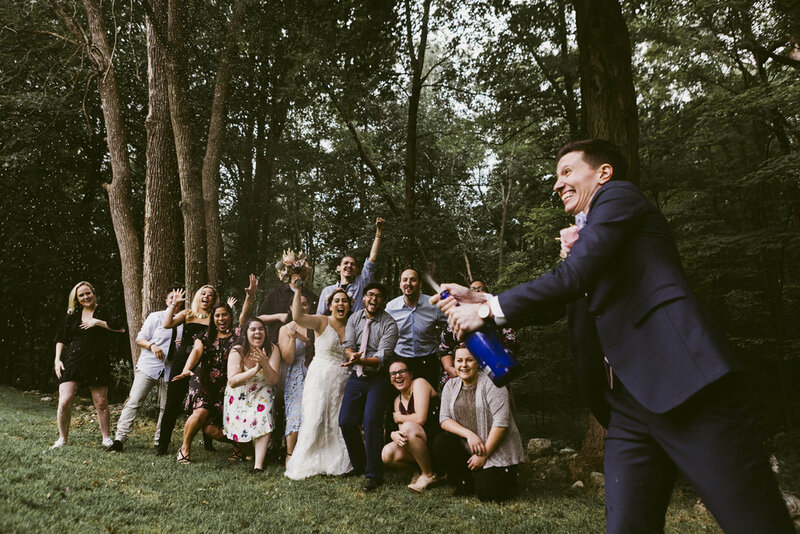 With about 20 references to The Office in their vows it was a struggle to hold back laughter or tears or both. 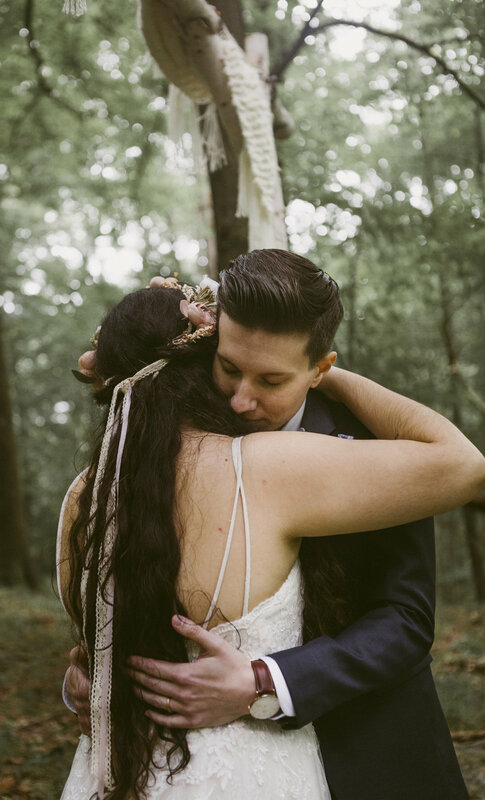 I have never EVER cried at someone’s wedding, but these two had me drowning in tears. 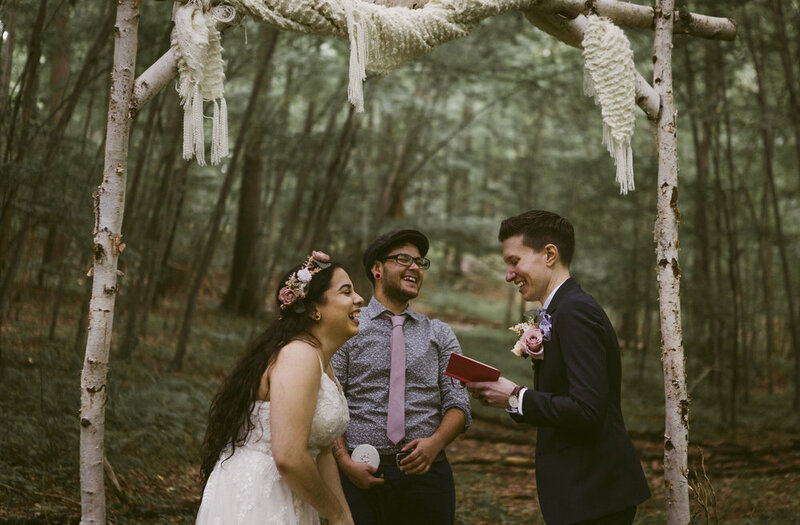 They were recording a video of their vows on their phone the whole time and when we played it back every now and then you could hear me let out a big ole sniffle! Super embarrassing but jeez they’re beautiful. And just like that they were married! The ground was pretty wet from the ungodly amount of rain we’ve gotten in the Northeast this year, so Melba swapped into some pretty sweet Adidas slides (who says you can’t be comfortable and fashionable? Your day. Your rules.) and we scampered back to the house to see the rest of our friends awaiting the newly weds. On a final note, if these aren’t the cutest family portraits then I don’t know what is. Look at those pupper smiles!